Cleaning Services Warrington Trusts To Get the Job Done! Get professionals in to do all of the hard work, and give yourself more time to relax. These are the cleaning services Warrington calls in when quality and reliability are the biggest demands. Because we know that every home and every office is different, we work to meet your priorities in all of our professional cleaning. You get a service that’s designed with your needs in mind, and can always count on getting the best from our fully trained, vetted and experienced team. Pick up the phone and dial 019 2569 8003 now, or choose to fill in our booking form or use our chat facility in the bottom right hand corner of the page. We’re ready to take your call 24 hours a day. Oven cleaning: making oven cleaning easy for landlords, tenants and business owners since we first started it, this is a professional substitute for elbow grease. 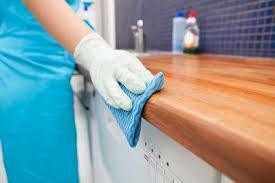 End of tenancy cleaning: this service guarantees the full return of your deposit. Tell us within 48 hours and we’ll come back and clean again for free! Carpet cleaning: using both hot water extraction and dry cleaning techniques, this carpet cleaning service is ideal for all the fabric coverings you have. Gardening: get back to basics and make a fresh start with this thorough service for garden clearance. Scythe down long grass and de-clutter today! One Off Cleaning: a cheap and professional way to get your home cleaned! All of our staff are carefully vetted and background-checked local professionals. This means that the expert cleaning services you get from us are delivered by the best in the business. What’s more, all of the work you hire us for is delivered under full Public Liability and Employer’s Liability insurance, meaning after you’ve hire our specialists to take care of your home or business, it’s time for you to put your feet up and relax.